Where" Gstaad, Switzerland, the chic ski resort which is famed for its high society clientele and playing host to the international jet set. Celebrity visitors include Julie Andrews (who lives there), Formula 1 boss Bernie Eccleston, who owns a house there, Madonna, Tiger Woods and many more. Why" As part of a festive collaboration with Gstaad Official tourist board I was invited to the beautiful snow-filled resort, on a two part Alpine adventure. For the first half I stayed at the lovely Ermitage hotel with my parents. We enjoyed some great family experiences, from visiting Xmas markets, horse drawn carriage rides through the village to visiting Glacier 3000. The second part of the trip is a romantic getaway to Gstaad, where Charlie joins me for a few nights of skiing and pampering at the Alpina Hotel, which will be on the blog next week. 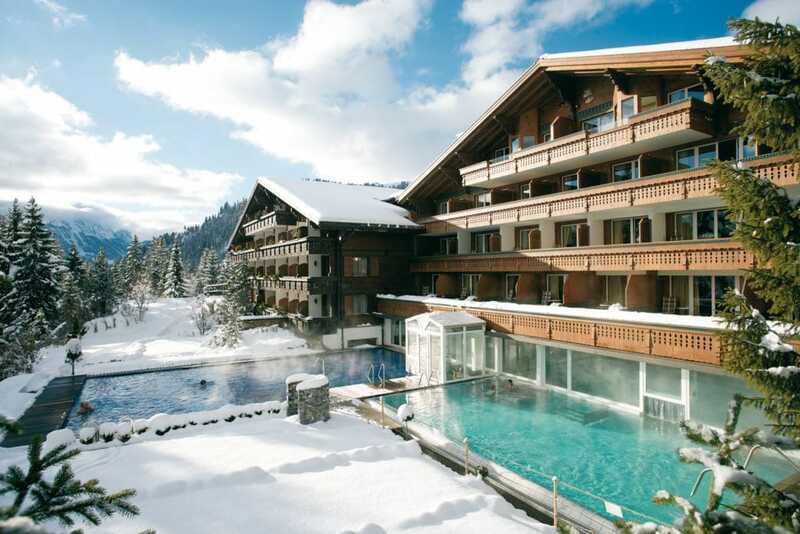 Here’s my photo diary of my family Xmas holiday to the Ermitage, Gstaad. But first let me introduce you to mama and papa Rakhit. This is my mum and dad, they joined me on the first leg of this visit to the Alps. Here we all are wearing Mountain Warehouse ski gear at Glacier 3000.